It is with some difficulty that I type this, as I am a dog and not really a Mac person. I’ll try to be brief. My name is Daisy. You probably receive thousands of letters each week from dignitaries, heads of state, and ordinary citizens. But, really, how many come from dogs? Since you are likely curious, I’ll explain. I became a reader when I was a pup, confined to a small newspaper-covered quadrant of the kitchen. It was during this tense house-breaking period that I first sought solace in the written language of humans. Soon enough, I began to follow the Presidential election with great interest. Hold on, I’ve got an itch behind my ear. Scritch-scratch, scratch scratch scratch SCRATCH, scratch scratch scratch, scratchy-scratch! If there is anyone out there who still doubts that America is a place where all things are possible; who still wonders if the dream of our founders is alive in our time; who still questions the power of our democracy, tonight is your answer. Sasha and Malia, I love you both more than you can imagine, and you have earned the new puppy that’s coming with us to the White House. Clearly, this is the first true test of your administration. The eyes of the canine world are upon you. Don’t blow it on a lunatic Irish Setter or Pomeranian. Clearly, an Alaskan Husky is out (unless you want to be post-ironic, which I don’t think is the best way to kick off an administration — just my opinion). Speaking for my brothers and sisters everywhere, I urge you to go with the goldendoodle. We don’t shed. We are hypoallergenic. We are gentle with children. And we certainly don’t yap-yap-yap like some breeds (I blame Bush’s skittish Scottish terriers, Barney and the odiously named “Miss Beazley,” for much of went wrong the past eight years). And, though I am loathe to sound egotistical, we are undeniably cute. But, yes, your every decision will be scrutinized. So in the interest of full disclosure, I’ll admit this up front: We might not look so great when soaking wet. But then, who does? Joe Biden? I think not. True, we have our critics. Some sneer and call us “designer dogs.” Some say we lack backbone. To which I respond: It’s true. In times of danger, I’ll flop on my back and submit. We’re like Gandhi in that respect. Besides, You don’t need a junk yard dog. You already have that scary Rahm Emanuel . .
. . . .and those creepy Secret Service guys. It’s been a long time coming, but tonight, because of what we did on this day, in this election, at this defining moment, change has come to America. Make a statement, President-elect Obama, Sir. You are the bright, shining symbol for the disenfranchised everywhere. Open your arms wide! Embrace us! 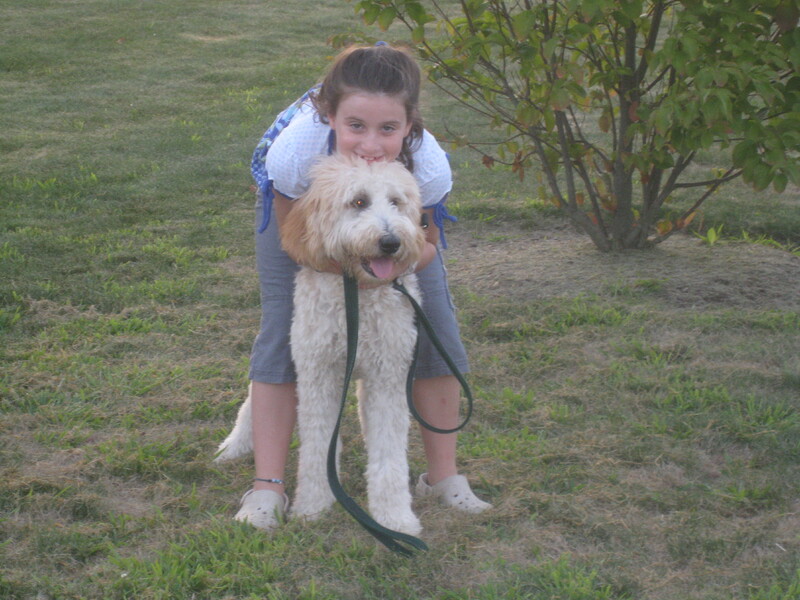 Go with the goldendoodle. Recognize us as a breed. Let us lay down by your feet. I’m begging you, as only a dog can beg: Throw us a bone here, will you? Speaking for doodles everywhere, we will love your daughters with all our doggy hearts. Now, if you’ll excuse me, I have a tail to chase. UPDATE, 1/14/09: Back by popular demand, Daisy has recently typed a new open letter to president-elect Obama, very concerned with his impending decision between a Labradoodle and a Portuguese Water Dog for White House Dog. Thanks for stopping by . . . and click here for Daisy’s newest letter! Please….hypoallergenic and no-shed……you have got to be kidding me. There is no hypoallergenic breeds, do your research and for non shedding…you….you have golden retriever behind you, your momma or your daddy. 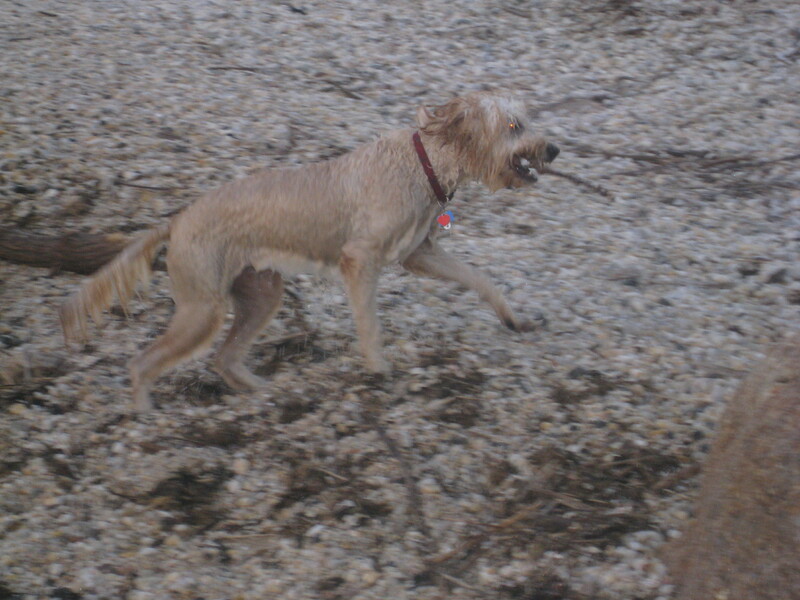 You saying goldens don’t shed or that it is from your poodle side and it is dominant…..yeah.right! and to the author writing this piece of crap…you hypocrite..you either own a purebred goldne or a purebred poodle right? Here, here! As a fellow Daisy-Doodle owner, I’m sure my dogs would agree with your Daisy 100 percent. Here’s to a doodle White House!!!! Hollie, I just returned to my computer to find your message. And you are so right. I have scolded Daisy for using my computer and told her “no walkie-walkies” at the dog park this afternoon. She was way out of line. Might I just say — way too funny!!! Daisy certainly has a flair for writing. Another hilarious post, Jimmy. Or should I say Daisy. Thanks for the info, because we are in the market for a hypoallergenic dog-I’m highly allergic. And as I was doing MY research, I found that goldendoodles, as well as labradoodles, do not have fur but hair, thus making them hypoallergenic as well as shed-free. That equals no sneezy-sneeze in my house. Strictly speaking, the hypoallergenic aspect can be overstated. These dogs are hairy furballs (furry hairballs? I guess neither are correct) and do carry dust and pollen and whatever on their coats. I can’t guarantee no sneezes, ever. But we do love our dog. One hidden cost is grooming. Because they don’t shed, they need haircuts. People sell “goldendoodles” as a breed and there are several groups attempting to get them recognized by the American Kennel Club. There are many registries other than the AKC. That being said, being recognized by them (or not) does not say anything abotu the reality of any given dog breed. The AKC just agreed to recognize the Irish Red and White Setter. Were they not a breed, last week? Your anti-purebred scorn is offensive, irrational, and without merit. If someone INTENTIONALLY bred your “golden doodle” she is, for all practical purposes, a PUREBRED DOG. As for the AKC being unpatriotic; I don’t have any idea how you arrived at that conclusion and I doubt you do either. I came to this page by accident but you brightened our day. 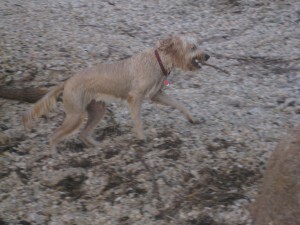 Go Golden Doodles! We have one and we couldn’t imagine any other kind of dog. We have two kids who have many allergies including dog allergies and asthma. This has been a great breed that doesn’t add to there symptoms and you get to have a “real” dog you can hike a fourteener with and they’re mellow enough to just hang out in the house. What more would you want? I knew it! I JUST KNEW IT! 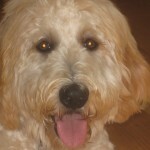 When Mr. Obama said their choice would have to be “hypoallergenic and no-shed”, I knew he meant a Doodle. I can’t blame him for wanting a Doodle, everyone that knows one wants one. My nightmare is that by his choice of a Golden Doodle, the breed will suffer the same over-breeding problems the Dalmation suffered after the movie 101 Dalmations came out. As far as being recognized by the American Kennel Club, WHO THE HECK CARES!!! 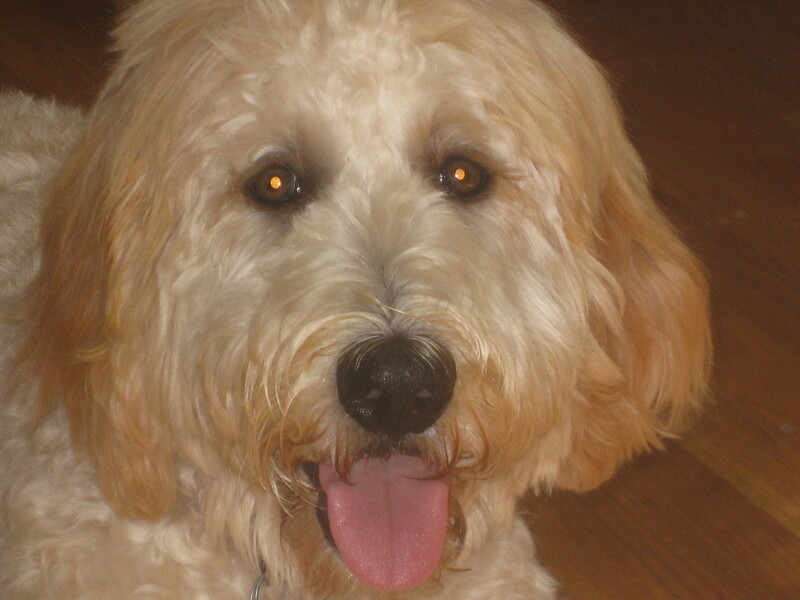 We love our Doods for their personalities, intellegence, and loving nature – to name a few of their stellar attributes. By the way, Hollie, you have a lot to learn about Doodles! I’d hate to see over-breeding too Sharon. However, if that happens maybe the price will go down and more people will be able to afford one. Here’s to wishful thinking!